You probably keep a lot of private data on your smartphone and tablet devices. That can make it easier for thieves to steal your identity or make fraudulent purchases in your name. 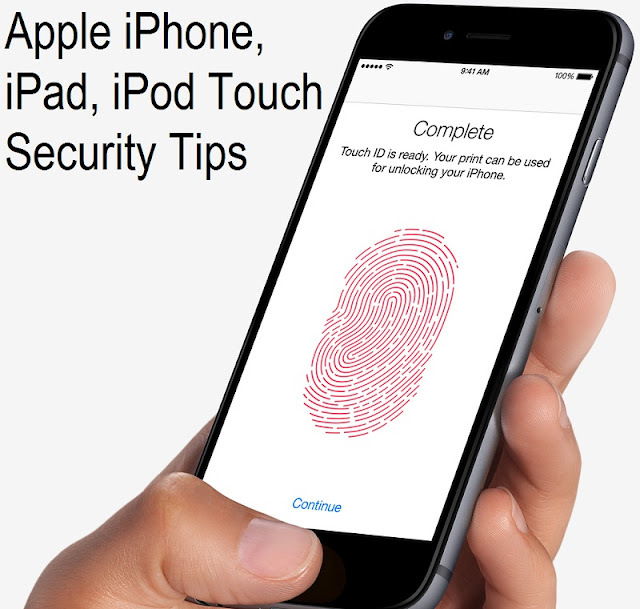 Below are four useful tips to keep your personal information and data more secure on your Apple iPhone, iPad and iPod touch. The Find My iPhone app offers several security options that will help you locate your phone and prevent thieves from stealing your information. 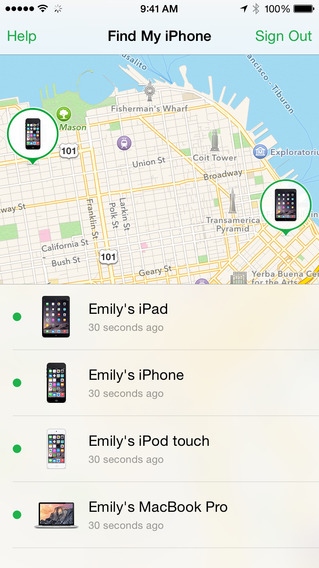 One of the most helpful Find My iPhone features is the option to remotely wipe your device. Losing an iPhone is already bad news. No one wants the extra expense or inconvenience of replacing a lost phone. The worst part, though, is that someone could steal any numbers and passwords stored on the phone. As long as you have Find My iPhone, you can erase all of that personal information the next time your smartphone goes online. Suddenly, the person who stole it doesn't have the data needed to steal your identity as well as your phone. You can also use this app to find lost or stolen phones. Just go the app's website and look up your phone. The site will show you a map that points right to where your phone is. If your phone was stolen, it's not a good idea to go after it on your own, but you can use the map to help the police track it down and catch the thieves. It's one of the only ways you can get your phone back without putting yourself in jeopardy. Most Smartphones will automatically connect to any WiFi that you have used before. This is a handy feature when you want to connect to your home or office network. You don't have to do anything to stay connected. It's not so useful, though, when you occasionally use public WiFi at libraries, cafes, and restaurants. Public WiFi is not very secure. Anyone with the right knowhow can use unsecured networks to grab information from your phone. That's a risk no one should take. A lot of people don't know that they can change their iPhone system settings to only connect to private networks. That means you don't have to worry about your phone connecting to your favorite cafe's WiFi every time you walk in. You can still use public WiFi when you want, but it won't happen automatically. That extra security measure is essential to keeping your private information private. Cookies can make surfing the Internet more convenient, especially when you need to log in to websites. Instead of having to enter your username and password when you visit sites regularly, your browser can remember them for you. At that point, the thief can do anything with your money. Disabling cookies makes this much harder. The thief will either have to guess or use password-cracking software. Most common thieves aren't that sophisticated, so there is little chance that they will ever get into your accounts. You can change the cookies settings on your iPhone by following these directions. Picking a strong passcode is one of the simplest things you can do to keep your personal info secure even if someone steals your iPhone. Unfortunately, most people think that a four-digit passcode will protect them. The truth is that such a simple option will not keep out a determined thief. The best passcode is a series of random letters, digits, and special characters. People, however, are not very good at remembering random strings. You can make a more effective passcode (that you can actually remember) by choosing a random word and inserting some numbers and characters into it. Do not choose a word that is meaningful to you. The more random, the better. An even better way to secure your smartphone is to use Touch ID available on the iPhone 6s Plus. This is an advanced security feature that reads your fingerprint to unlock your phone. It prevents anyone besides yourself from accessing your smartphone and even allows you to use the Apple Pay feature. If you're like most people, your iPhone has a lot of private information that you wouldn't want the rest of the world to have. With these four strategies, you can start protecting yourself better.